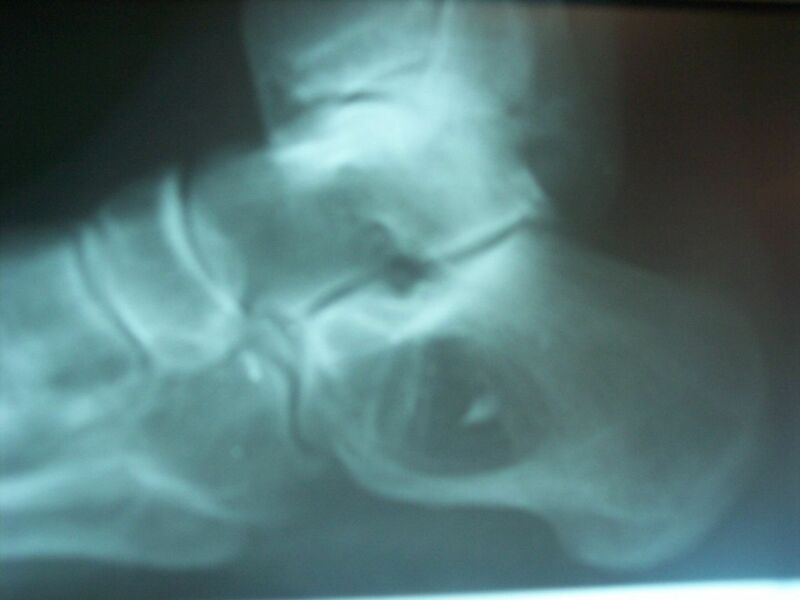 This patient presented to the office with a bone cyst in the calcaneus. The patient was very active and enjoyed numerous sporting activities. 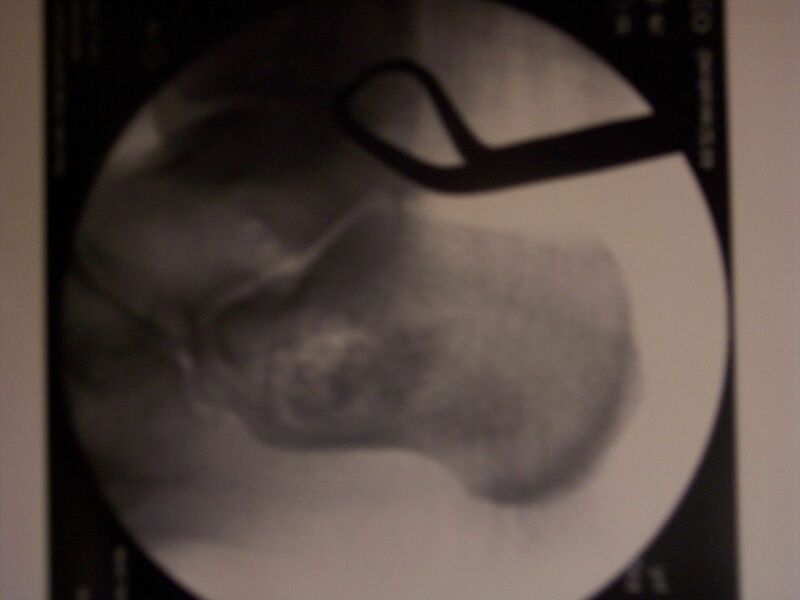 The first xray reveals a large cyst in the calcaneus. The majority of these cysts are unicameral or aneurysmal bone cysts. This type of cyst can be a source of heel pain or aching in the foot. 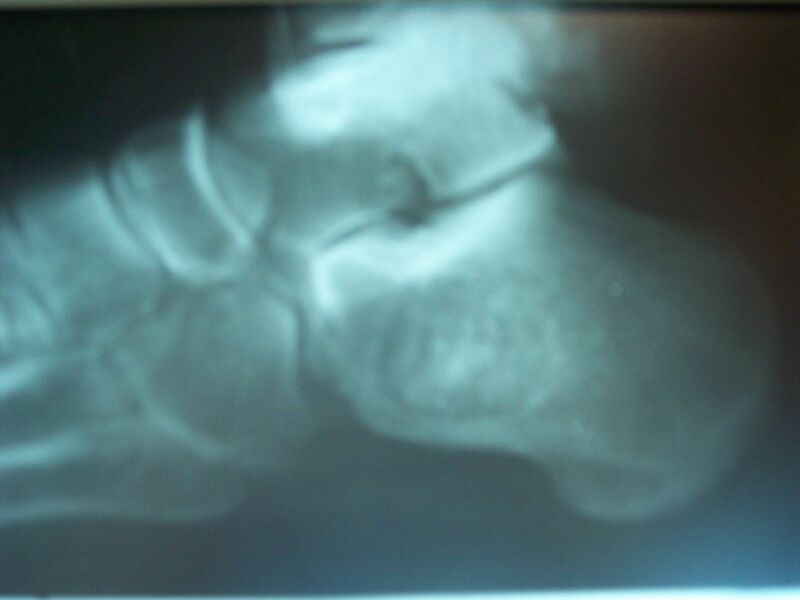 Lateral preoperative xray revealing large cyst in the calcaneus. The patient was taken to the operating room and the large cyst was identified, removed and packed with bone chips. Intraoperative fluroscopic image after the cyst has been removed and packed with bone grafting material. The patient healed uneventfully and has returned to full participation in activities with no limitations. The cyst has been completely removed and is filling in nicely with new bone.